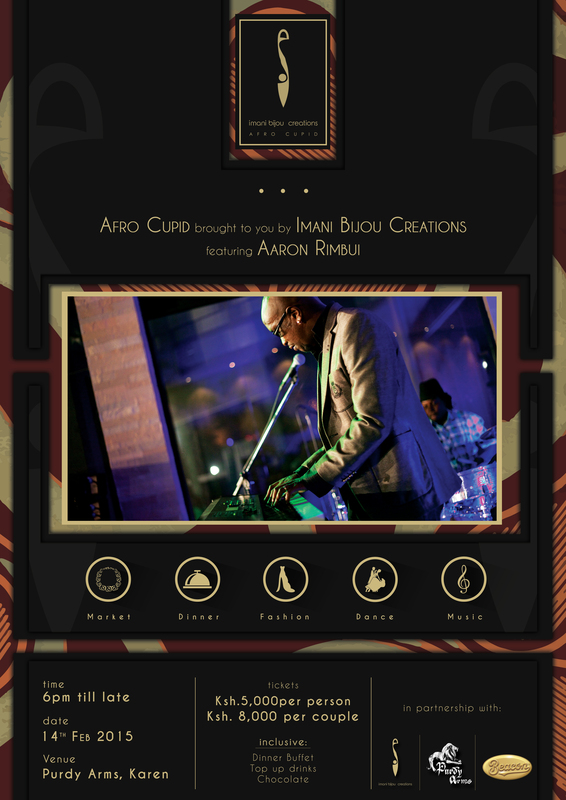 This is an exclusive dinner and fashion show at the beautiful Purdy Arms, Karen featuring Jazz Maestro Aaron Rimbui. Tickets are limited to 250 people and are inclusive of an amazing dinner buffet, Chocolates and a couple of free high-end drinks. Entry filed under: concerts. Tags: Aaron Rimbui, karen, Purdy Arms, Valentine Day. How do I contact the organiser? ?